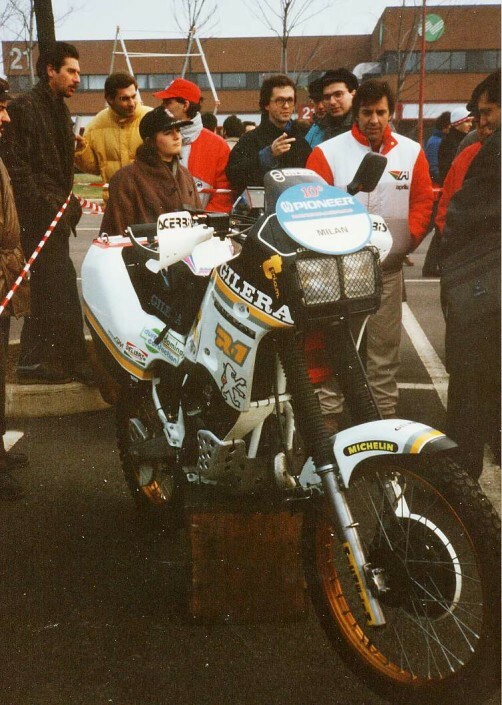 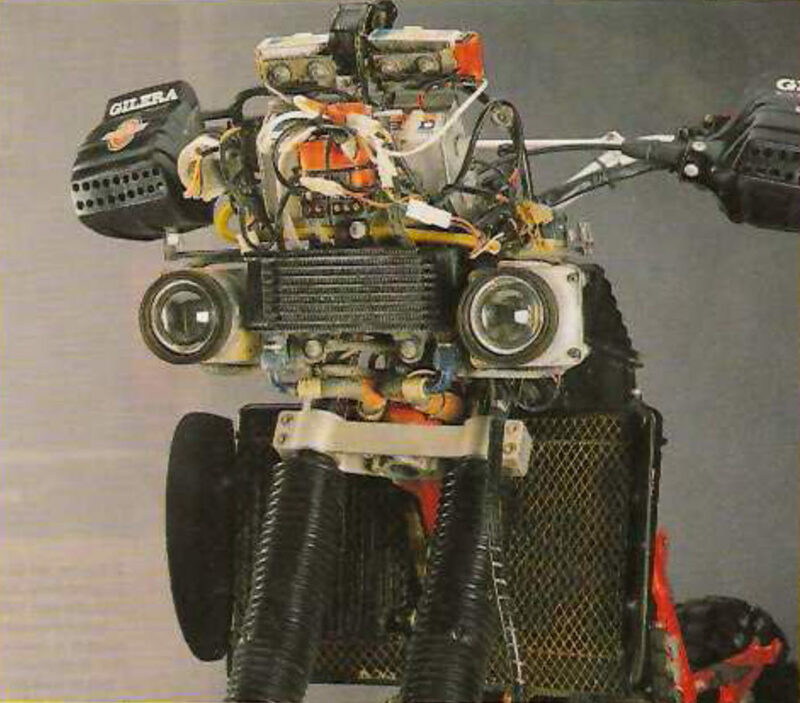 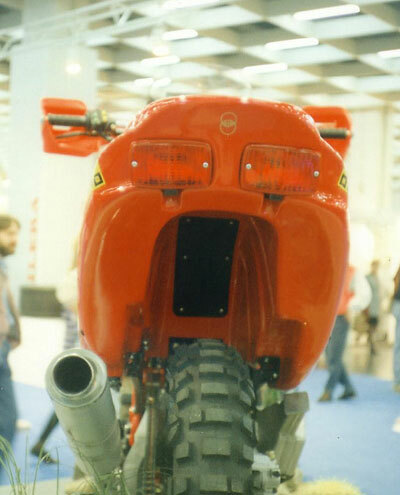 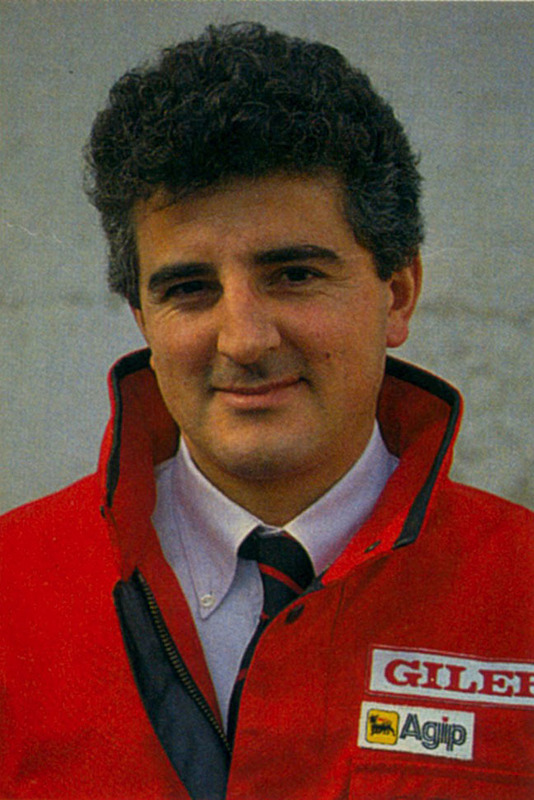 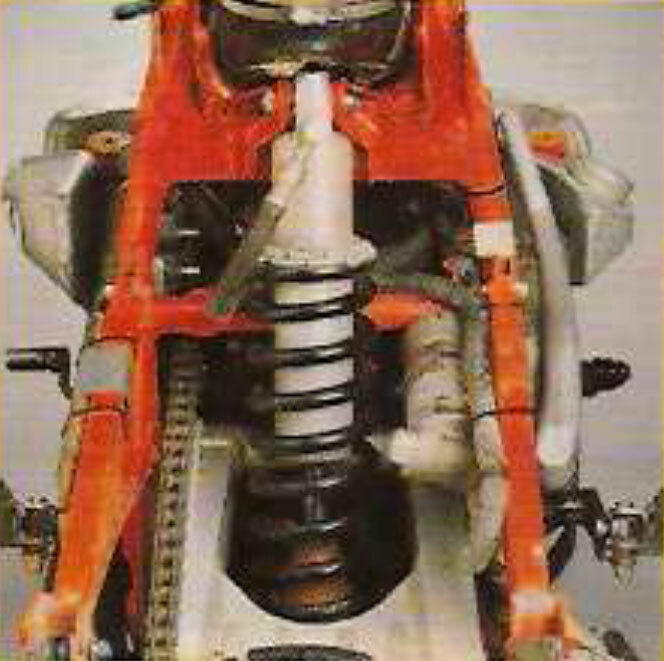 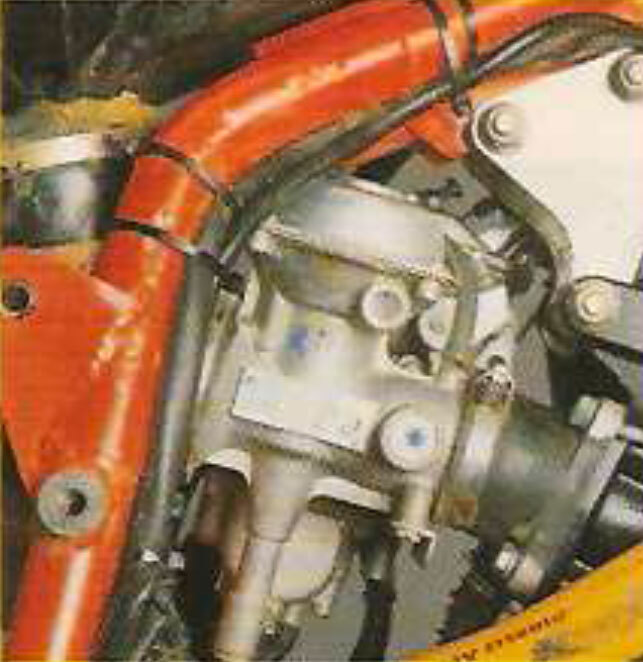 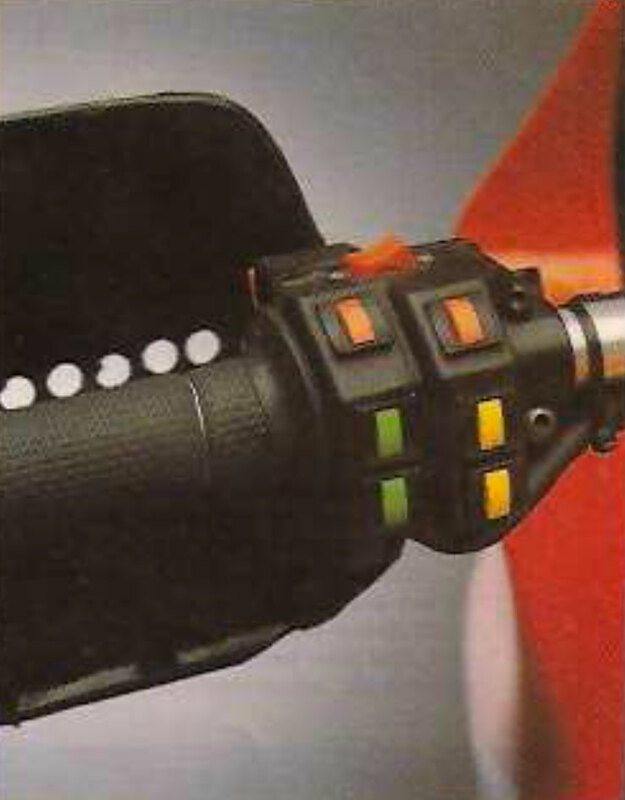 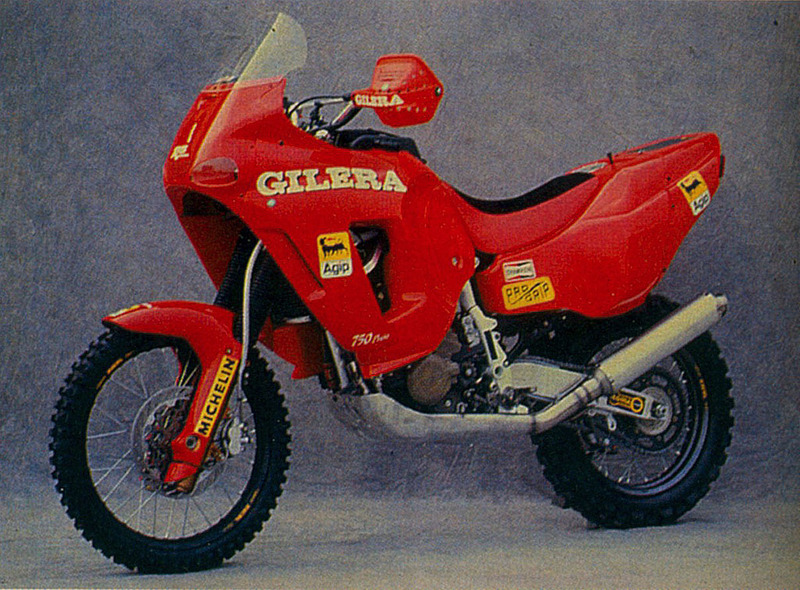 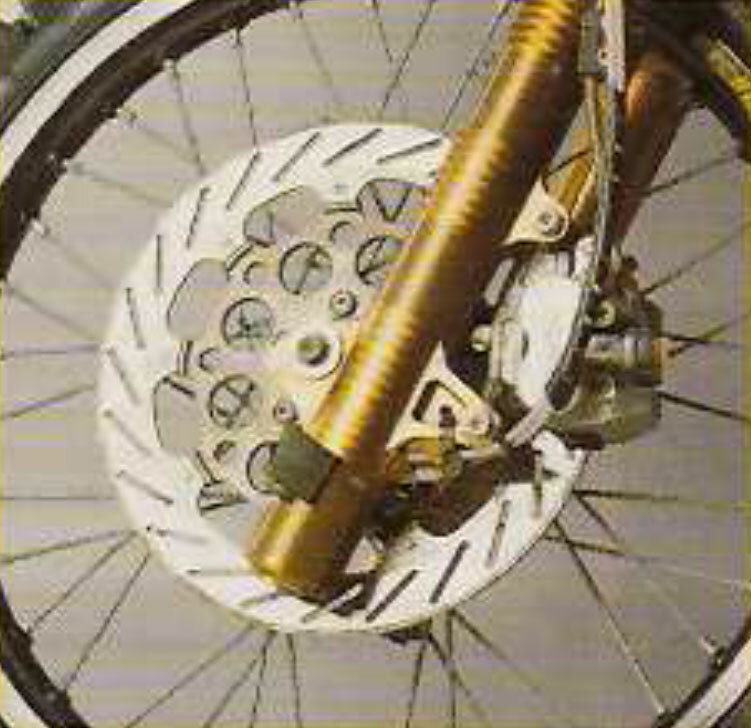 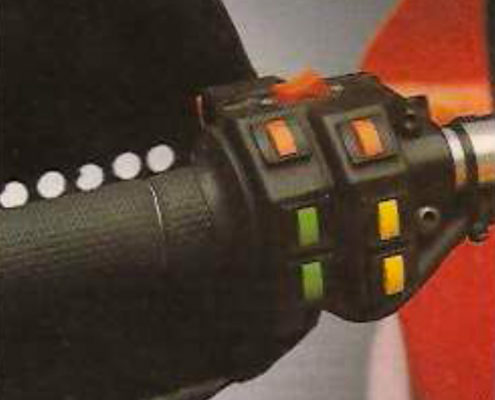 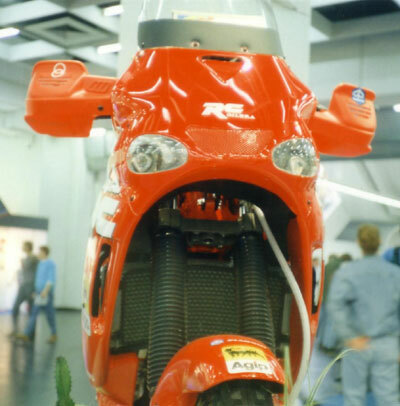 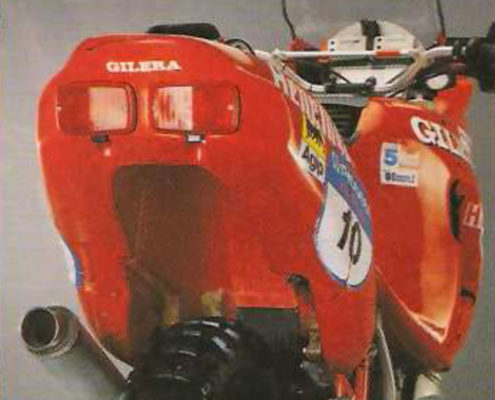 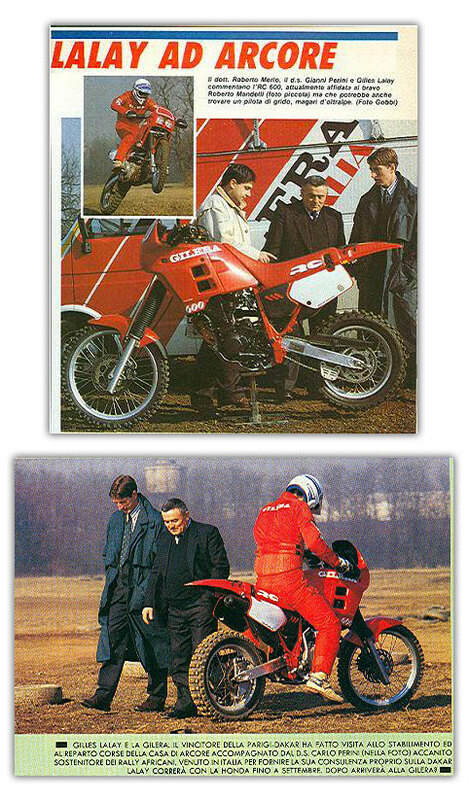 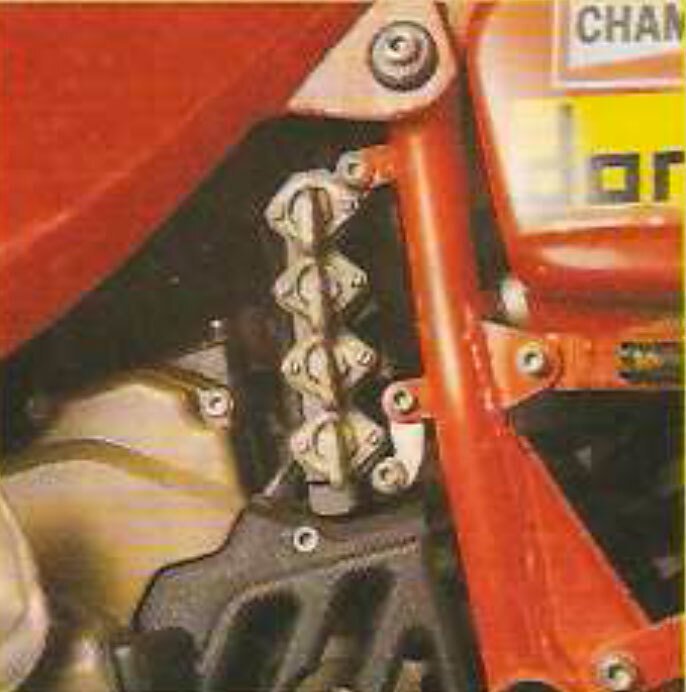 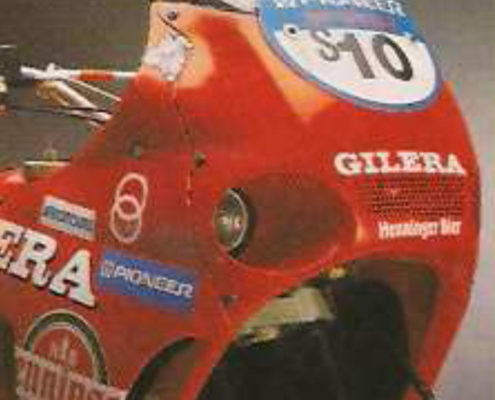 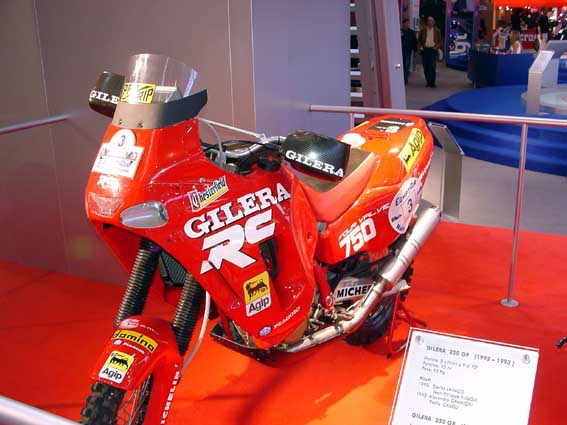 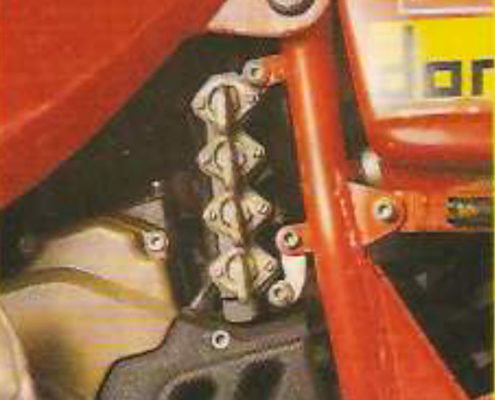 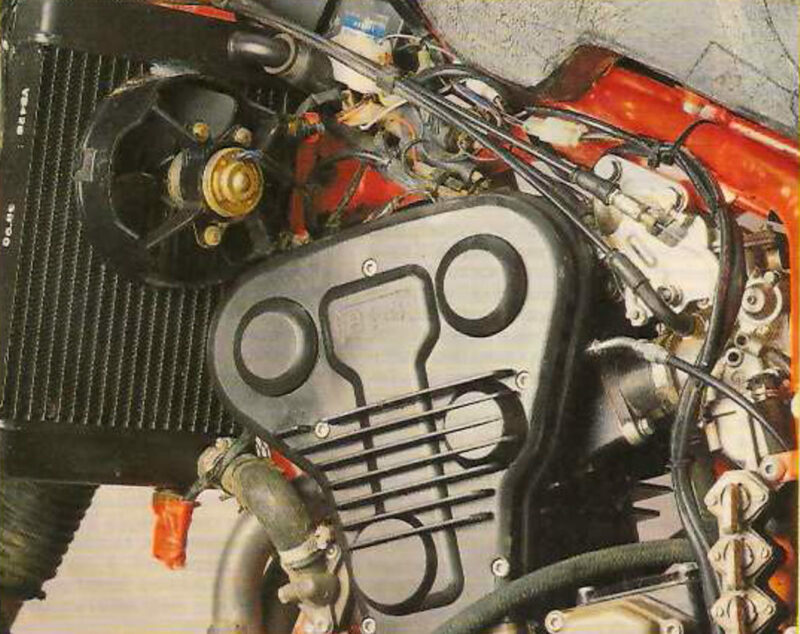 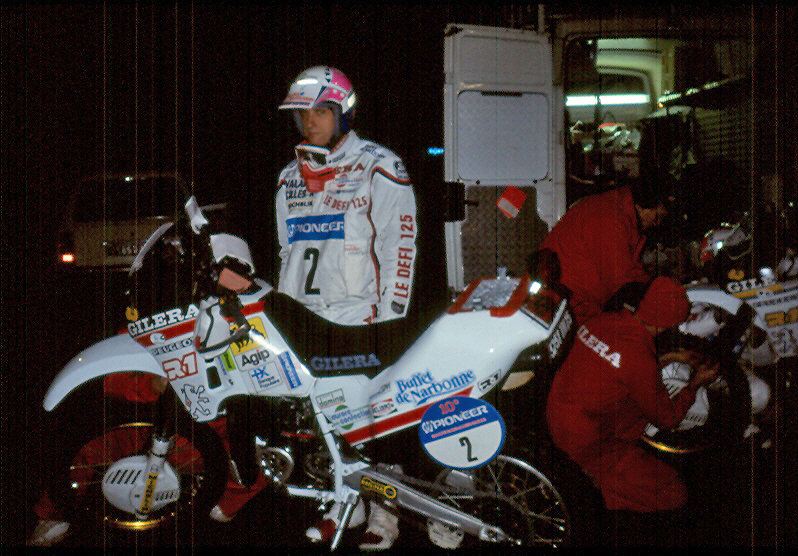 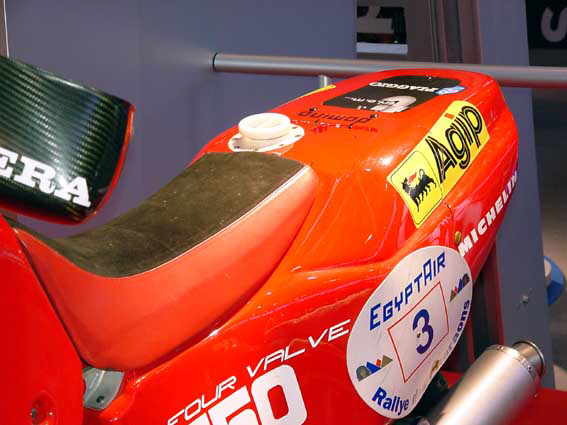 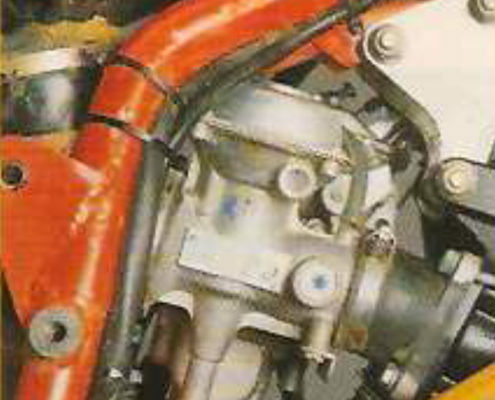 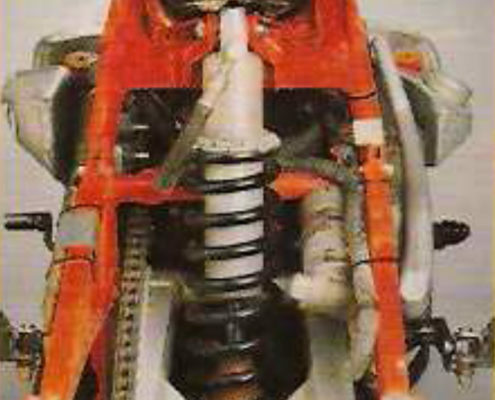 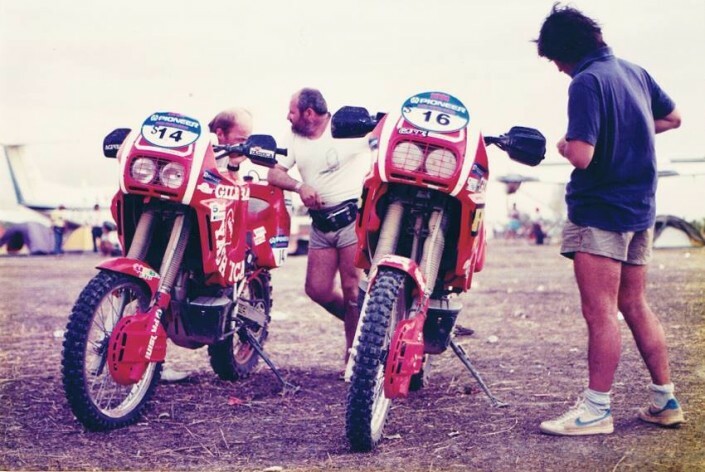 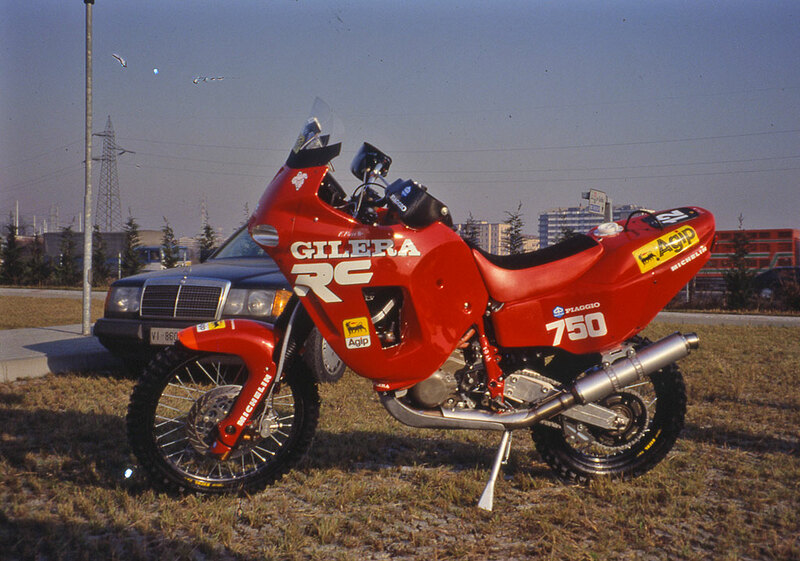 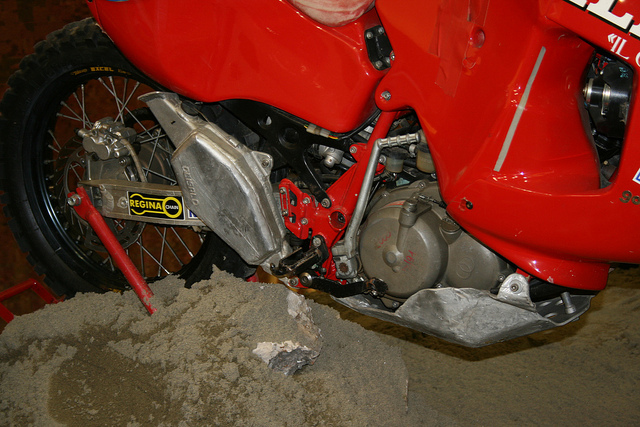 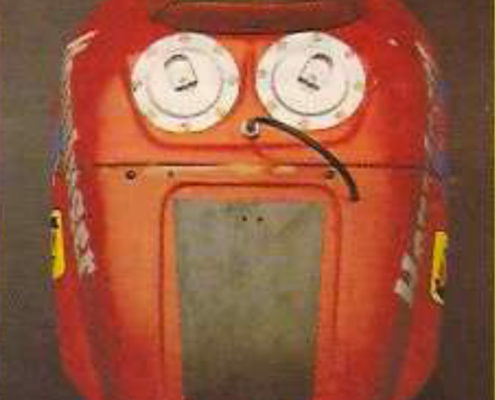 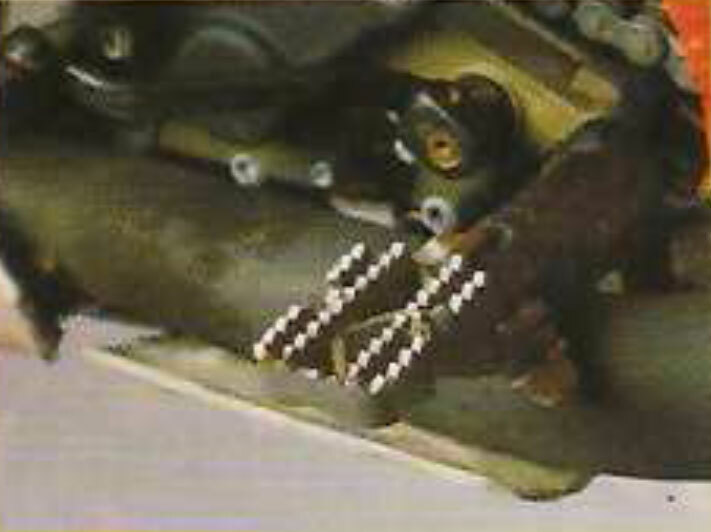 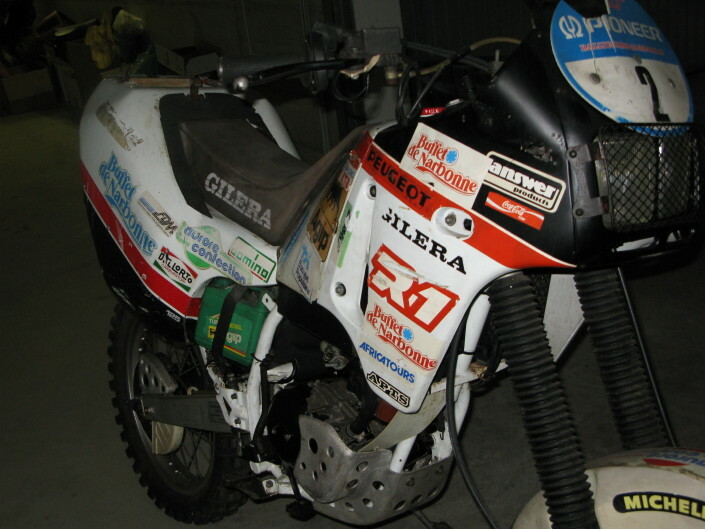 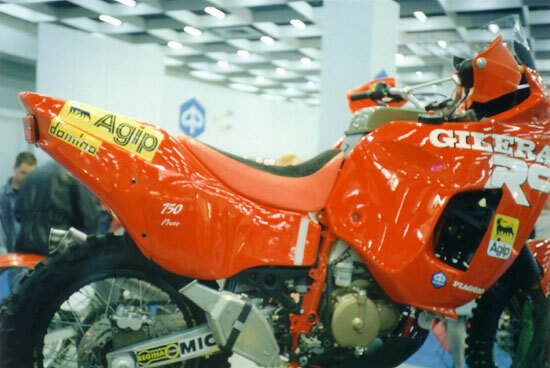 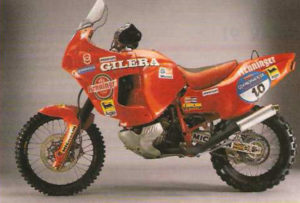 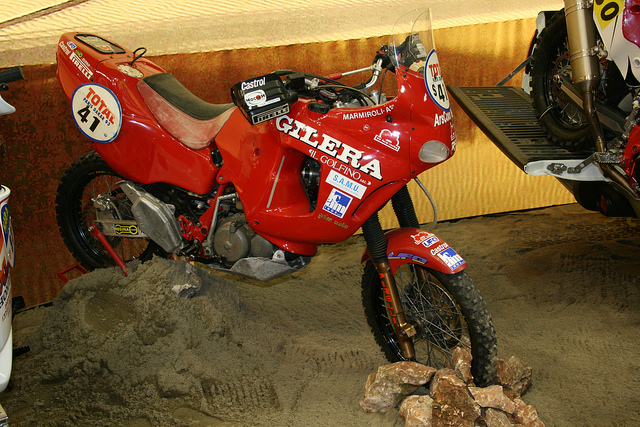 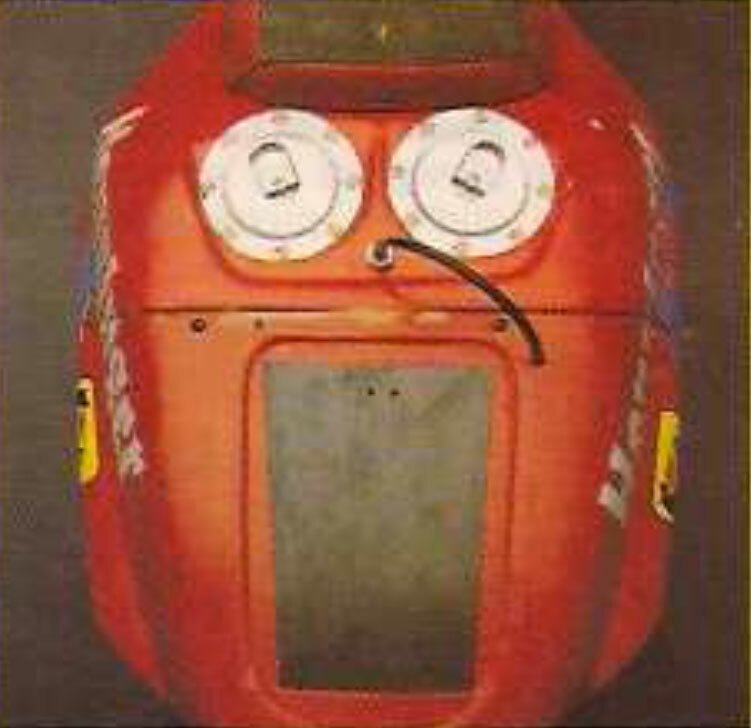 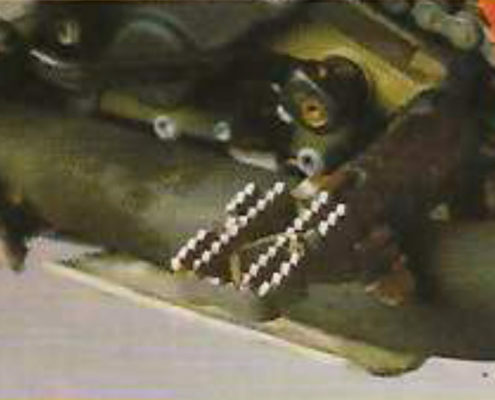 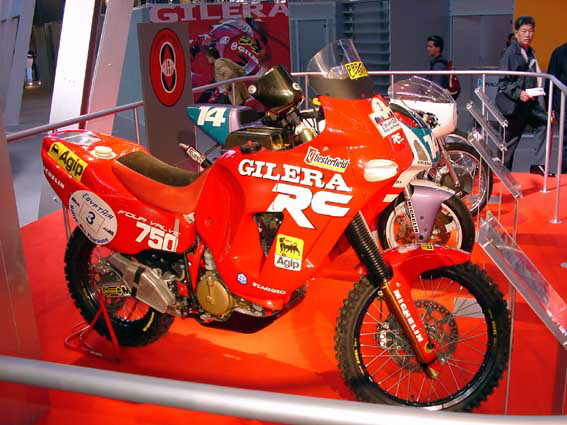 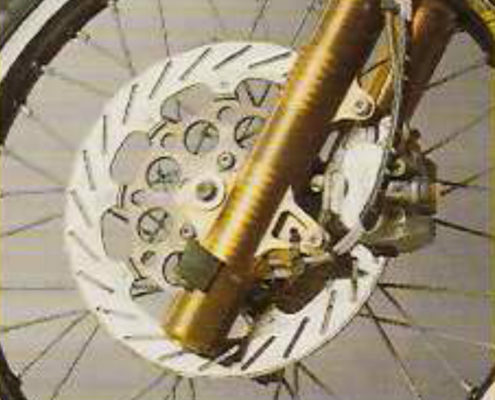 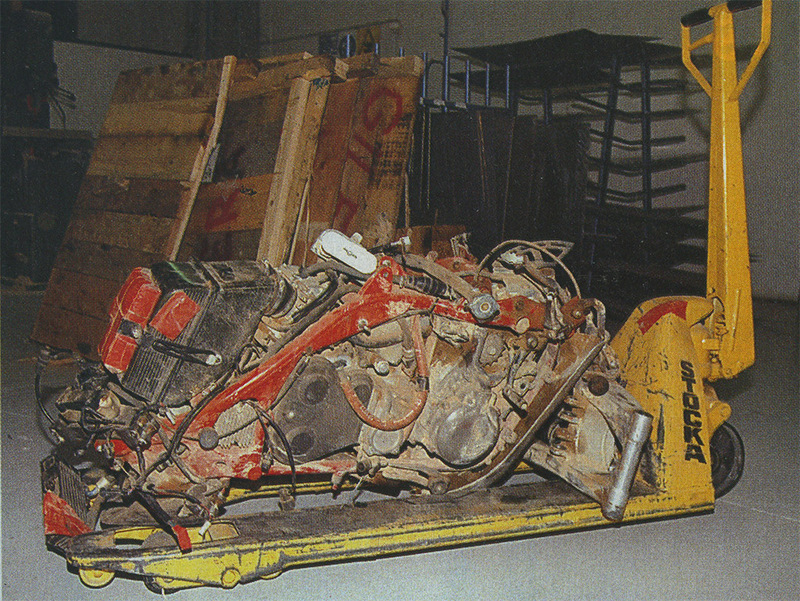 Was the 19 December 1987: two French boys, Gilles Valade and Christian Grelaude, They presented themselves to the entrance gates of the factory Gilera Arcore asking for help in preparing the engine: you were enrolled at 10° Paris Dakar, that would match the 30 December following from Paris, with two Peugeot 125 and together formed the Team Defì 125. 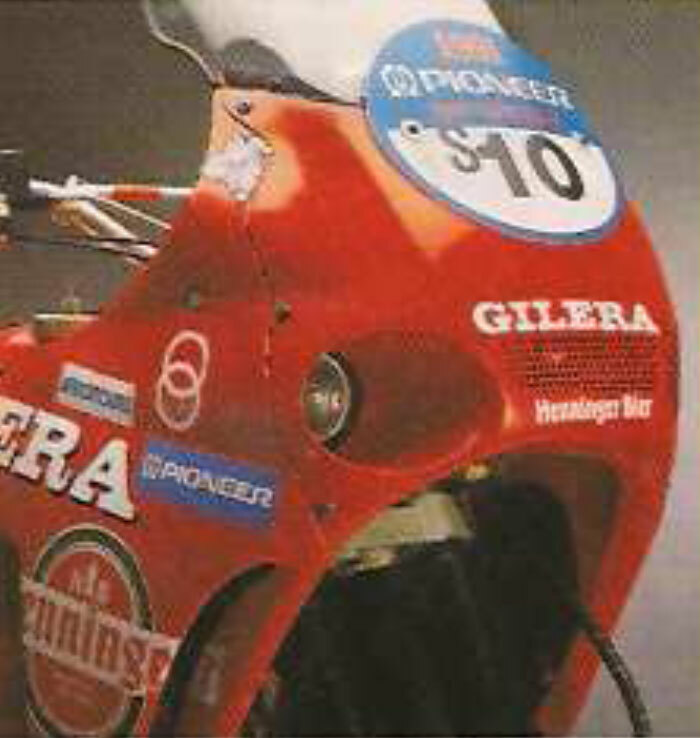 This endurino was equipped with an engine built by Gilera on specific Peugeot but was basically the same that equipped the Gilera RX Arizona. 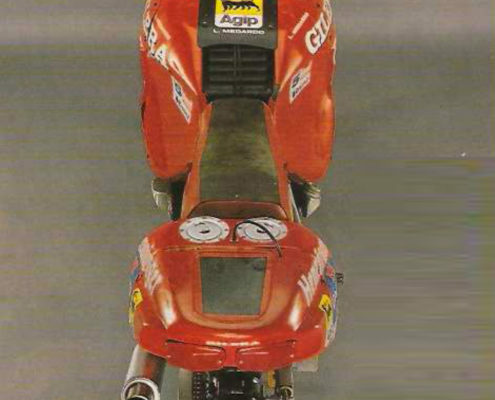 but thanks to the good offices of the volcanic Gianni Perini, Gilera welcomed them willingly and provided them with even two flaming R1 (just presented on the market), that would have been set up in record time in the ten days remaining, blasting Christmas holidays at a good number of technicians in the testing Department! 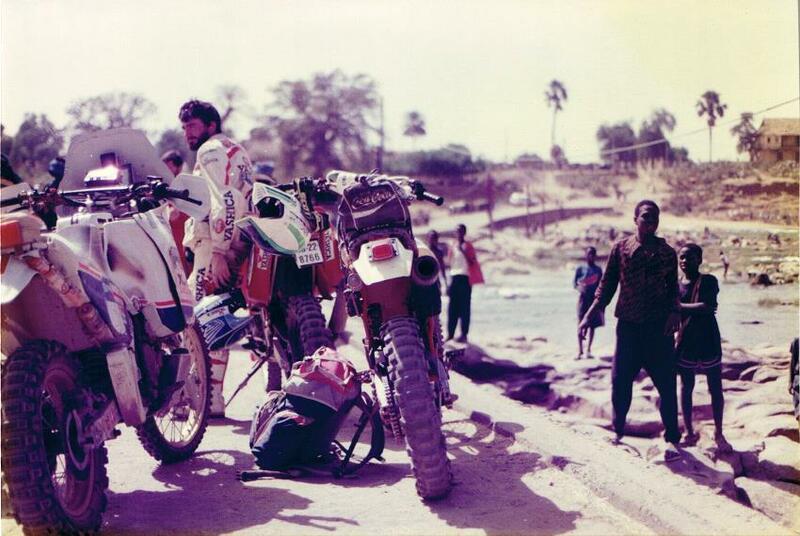 But the unexpected good fortune had not exhausted. 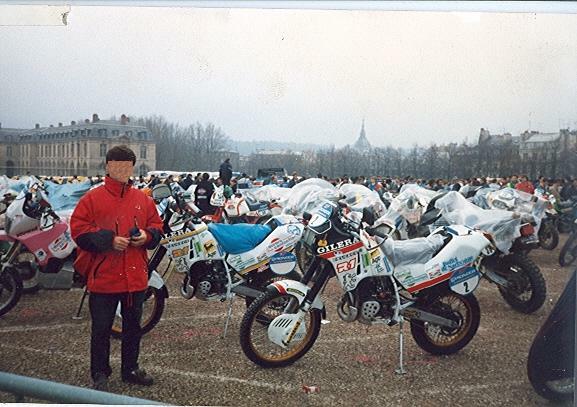 The boys were followed up in Paris from truck Racing Division, and from there until boarding for Africa, to the port of Sete. 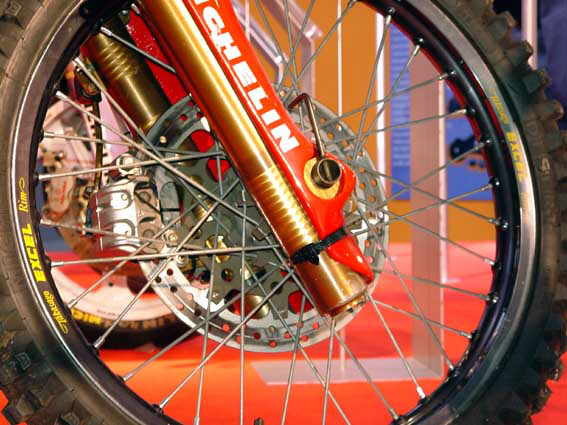 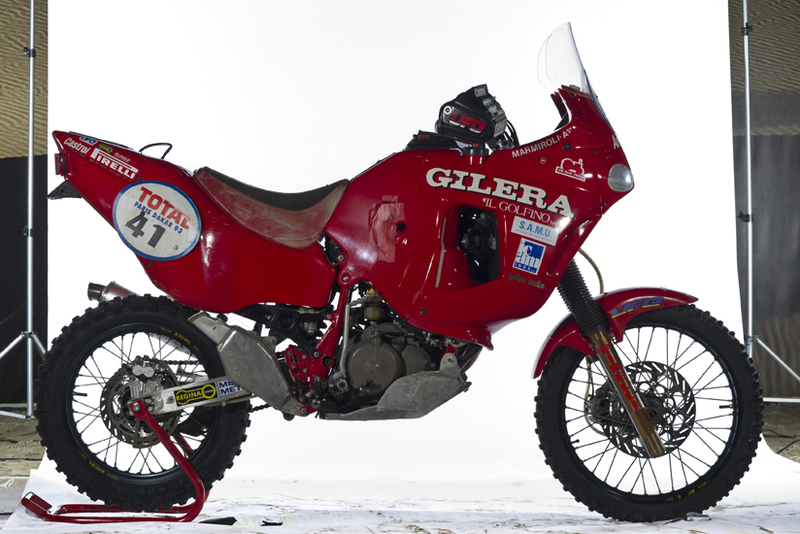 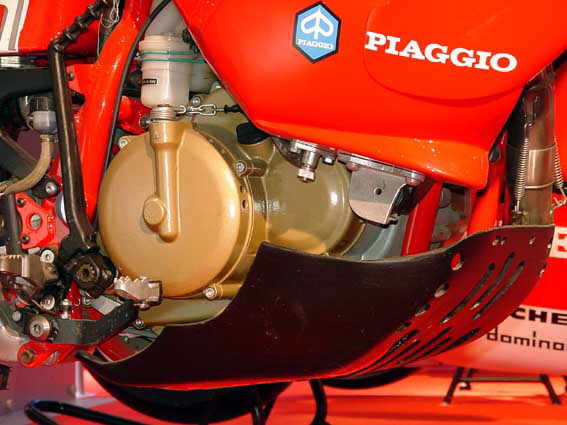 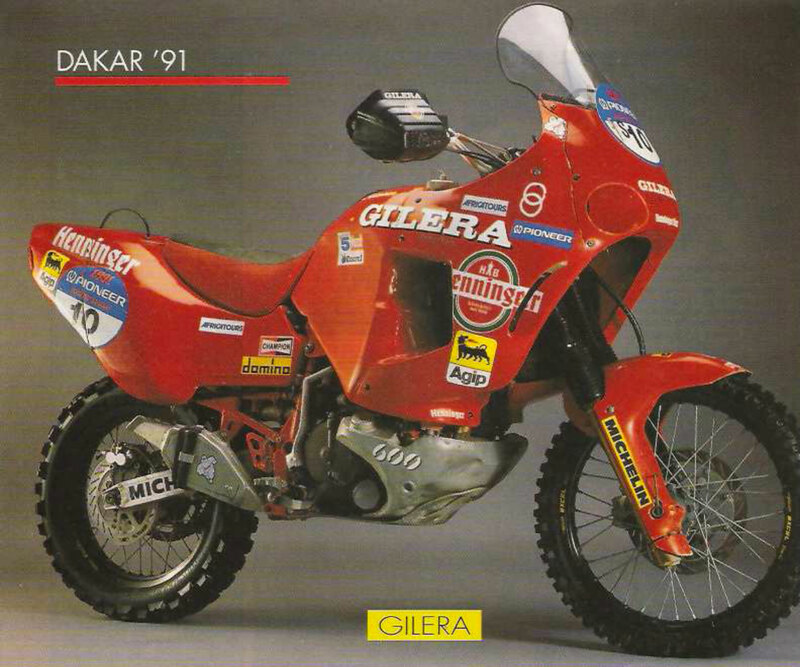 In addition, If they were able to get up to Agadez, for the day of rest expected in the middle of the race, a technician Gilera (probably the ubiquitous Silvano Galbusera) He'd achieved with fresh pieces, to help the one mechanic that the two boys had predicted in tow. 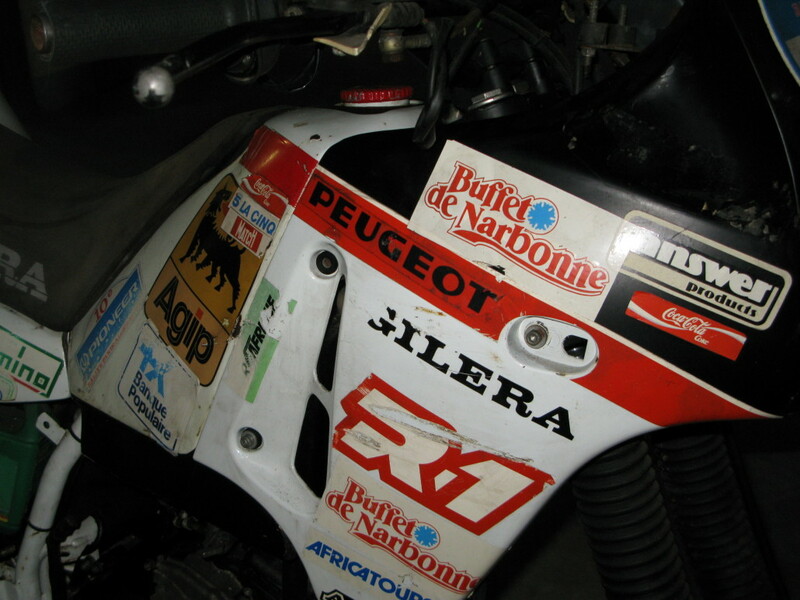 Despite the almost insane program, the bikes were suddenly ready for pre-departure of Milan Flowers: Needless to say the bikes were indeed very nice, the codon/serbatoio, single piece that was saved from the Peugeot of boys, painted in livery R1, integrated very well and made this enduro, one of the most elegant ever seen at Dakar. 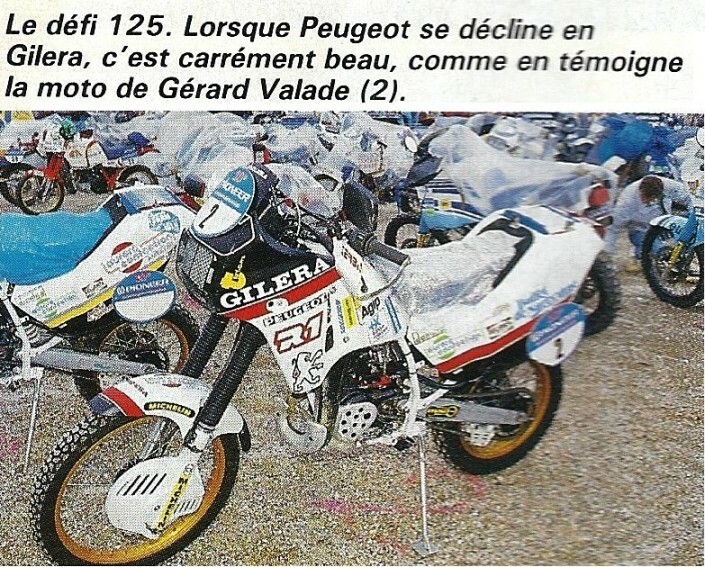 In a timed Prologue Cergy-Pontoise, usually little more than a parade on a small muddy circuit our two boys behaved just fine: Grelaude He made 39° time and Valade the 98° (on 187 registered drivers!) 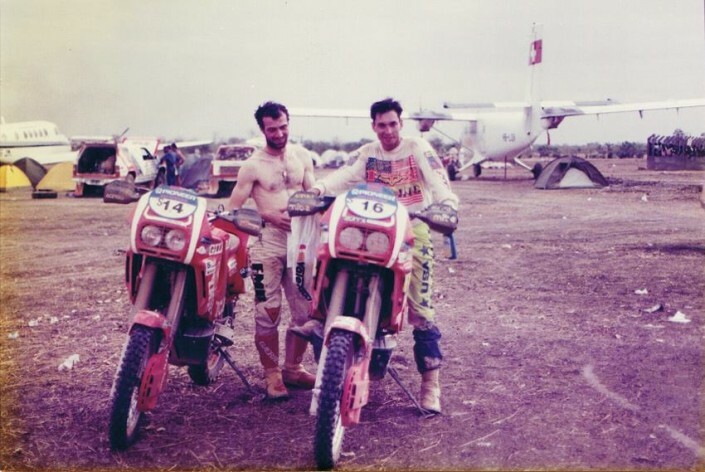 The test was not completely trivial, in many they had problems because of the mud and even some prominent pilot took the minutes of delay, especially those who had departed with tyres and low at the front mudguard. Once in Africa, our heroes made little headway, during the second stage, El Oued-Hassi Messoud, a stage remembered as one of the most difficult of all Dakar despite being relatively short (250Km, for the timed), because of the many areas with high sand dunes and spongy withdrew failing to reach the end stage in time to start the next day! 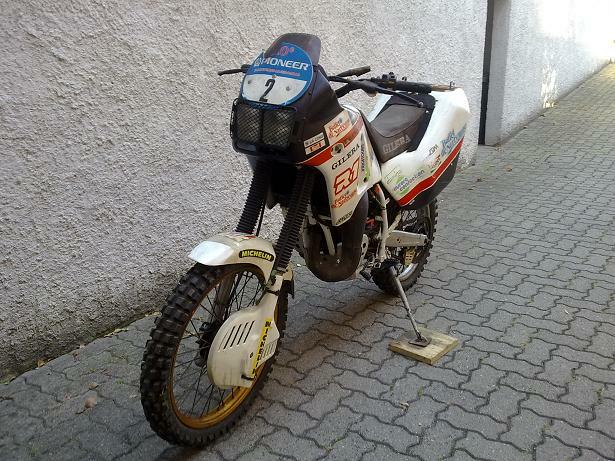 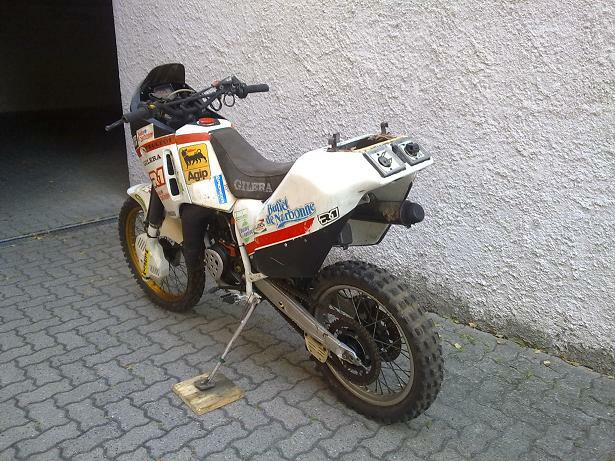 A very tough stage, so much so that even other 6 Motocross bike 125 CC. 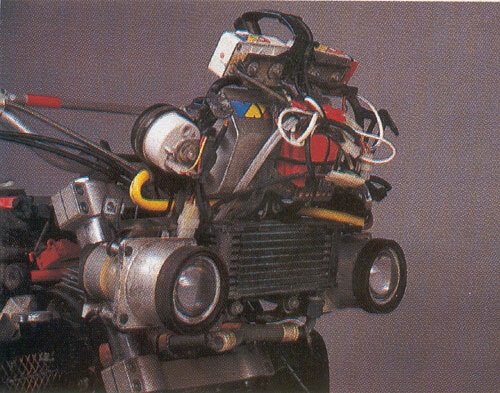 matches from Paris to retire (two Peugeot, 3 Yamaha and KTM famous because his pilot had mounted a whole engine spare tire underneath the mega tank). Those who came farther were the Brothers Auribault that came just after the middle of the race! 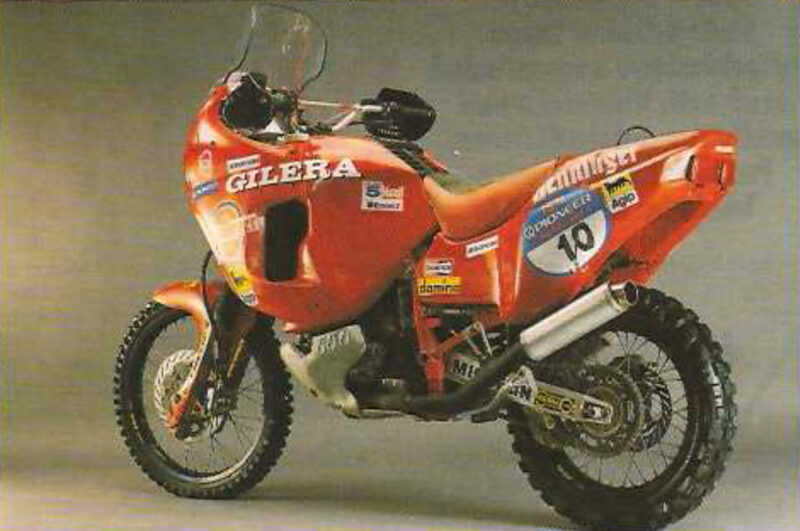 Incidentally, the tenth edition was remembered as one of the most exhausting, If not the most grueling ever. 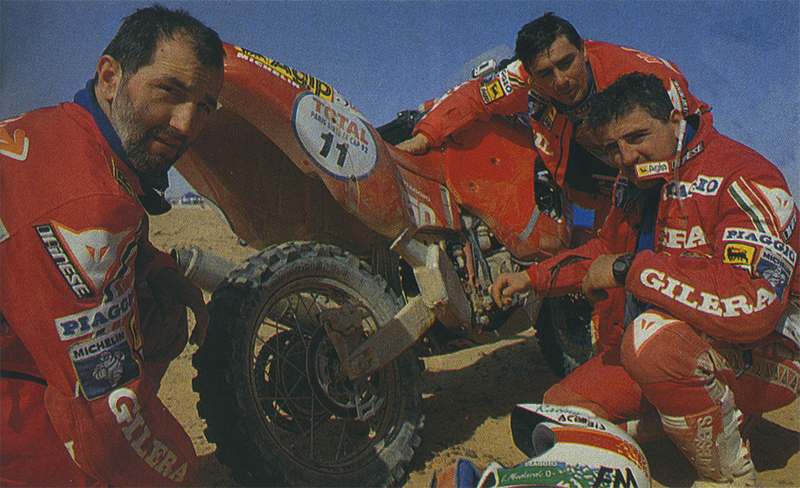 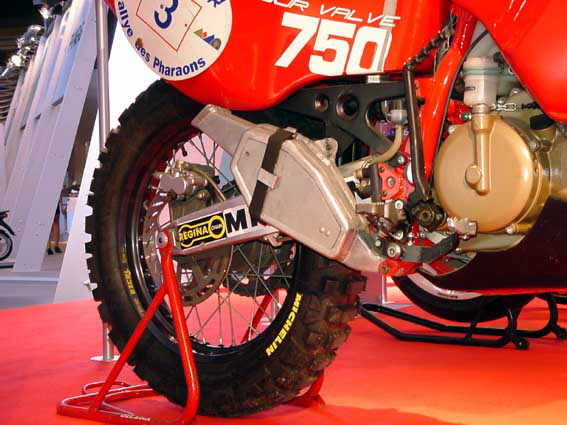 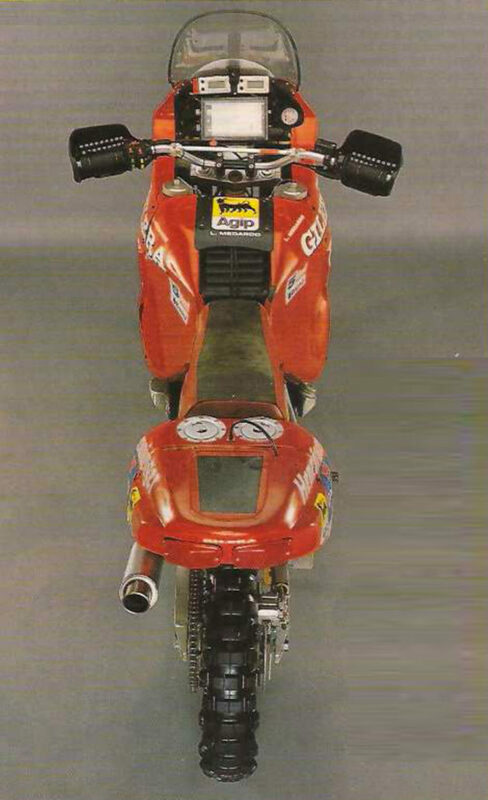 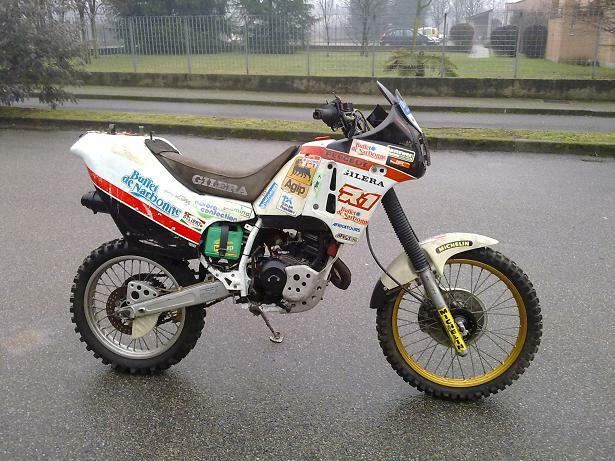 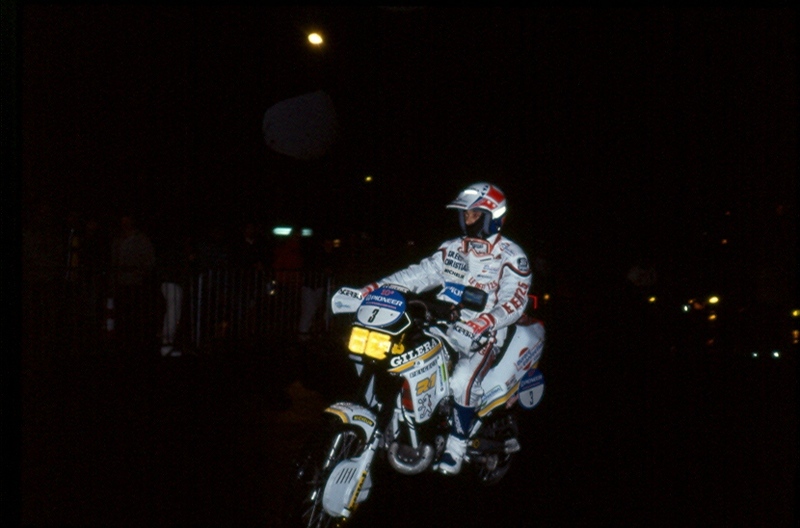 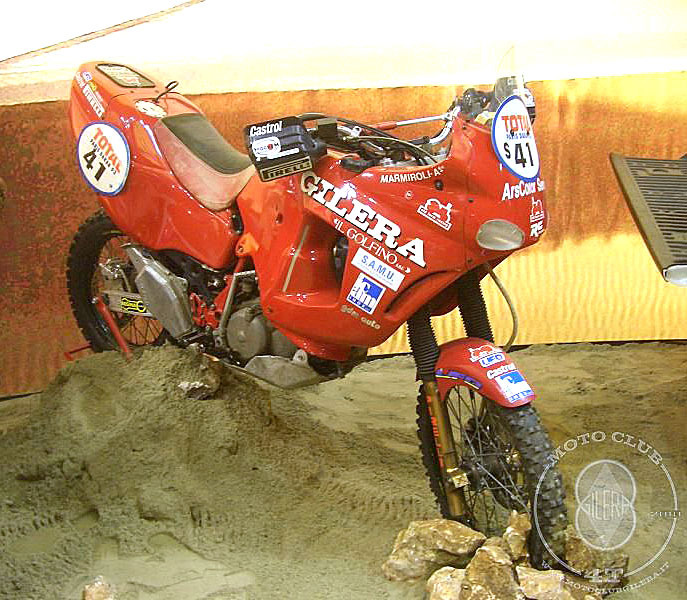 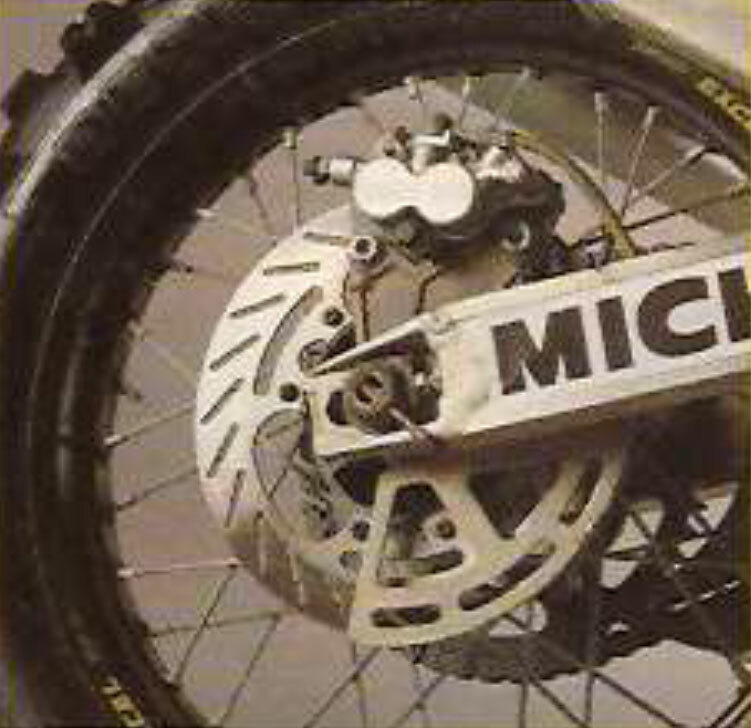 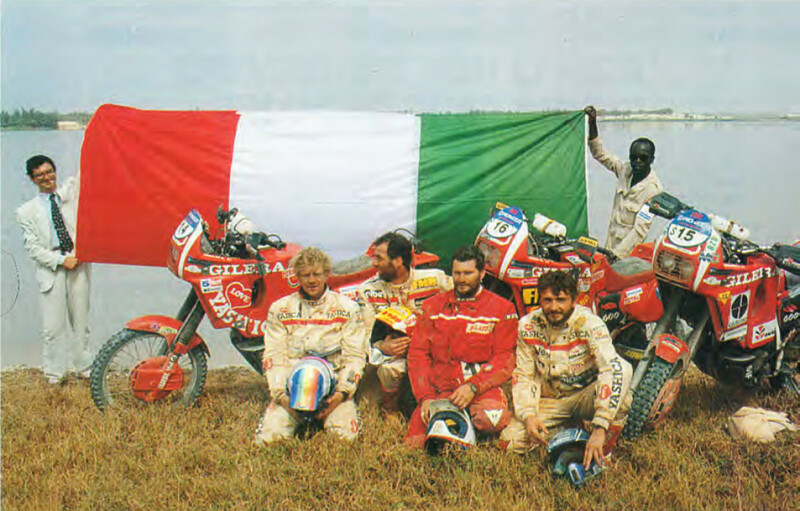 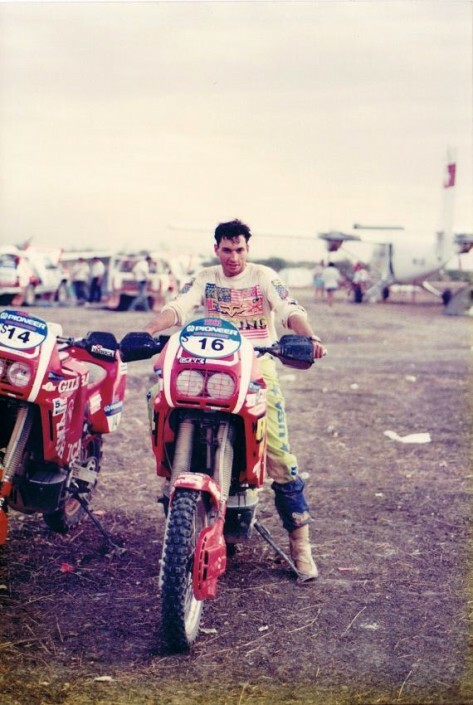 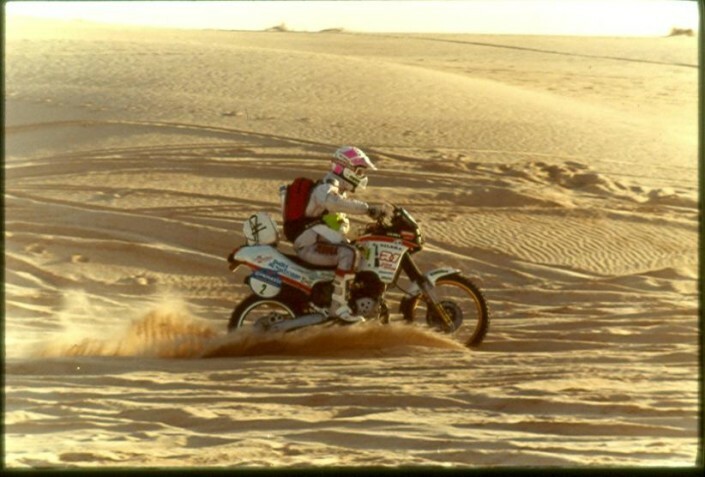 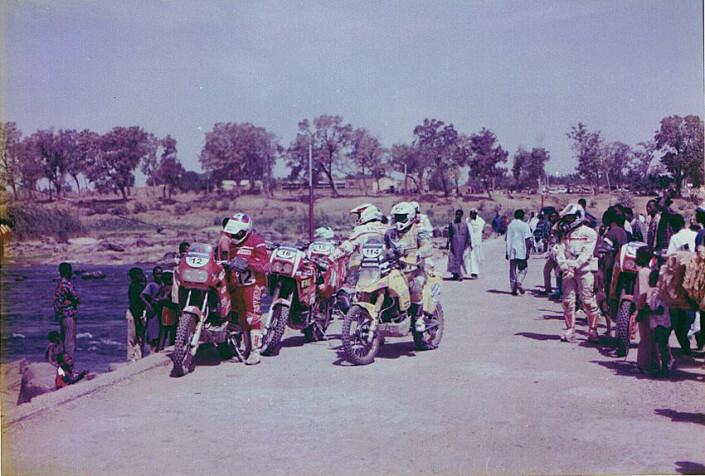 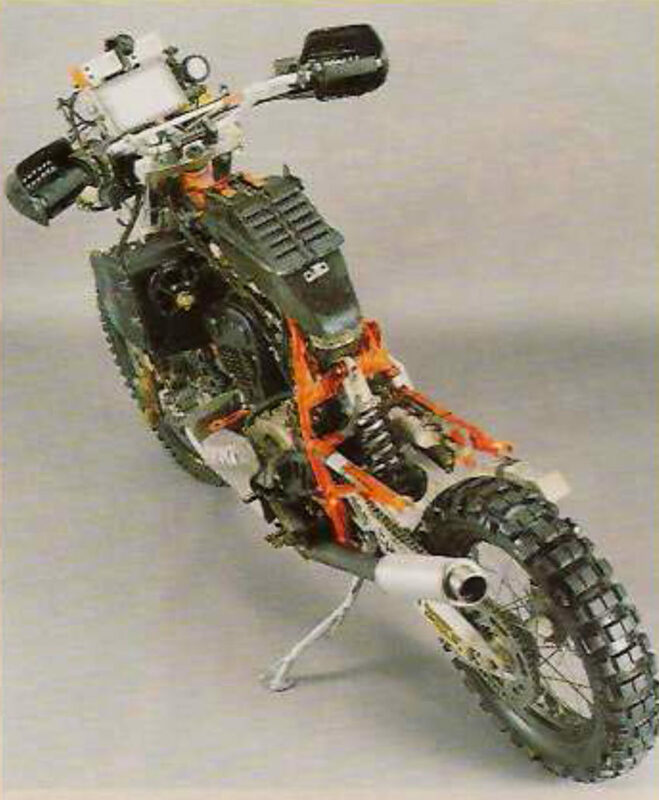 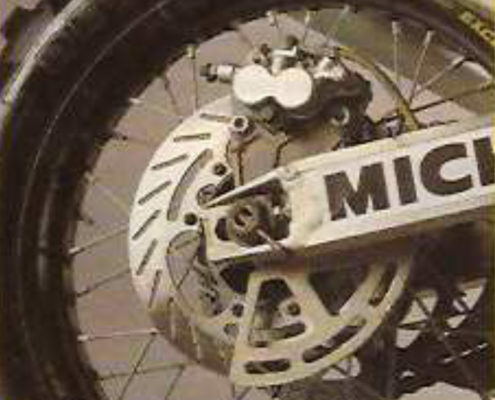 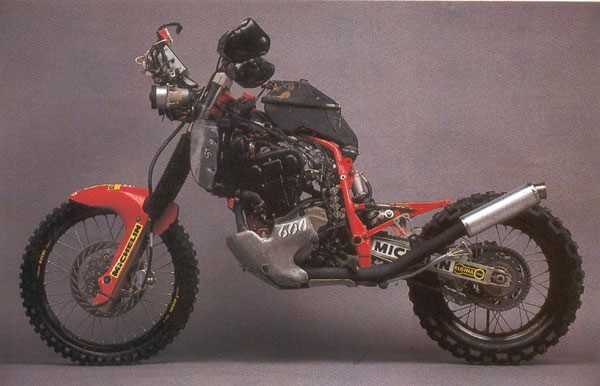 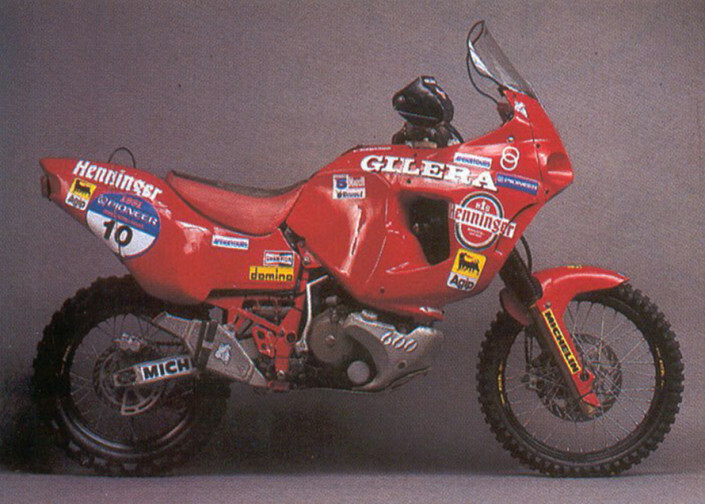 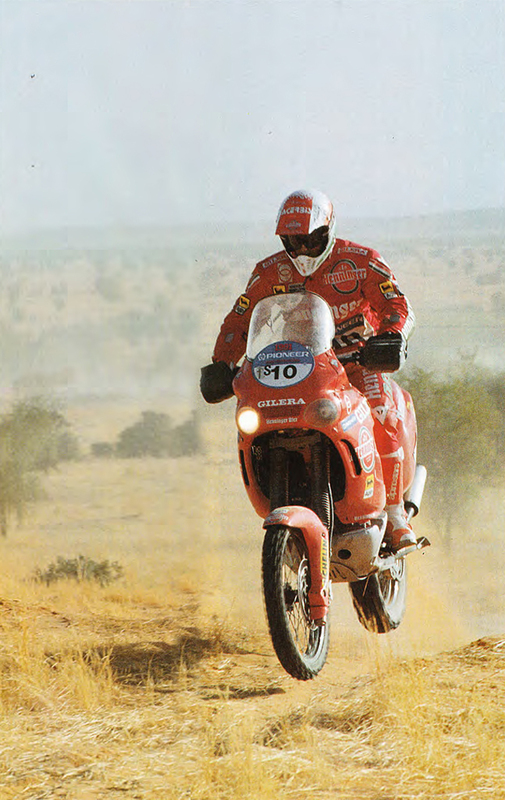 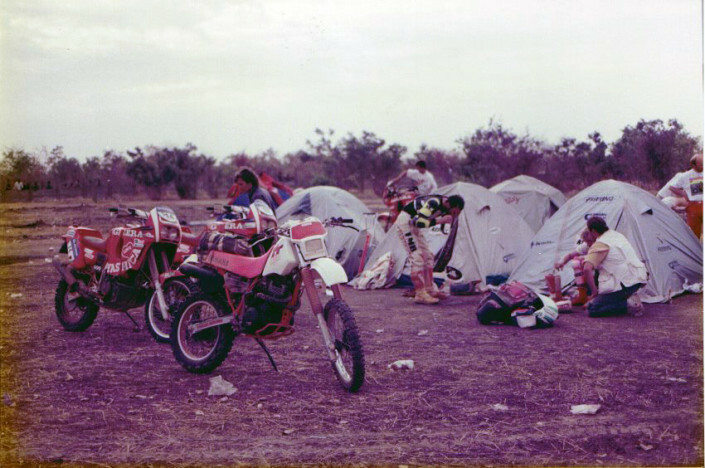 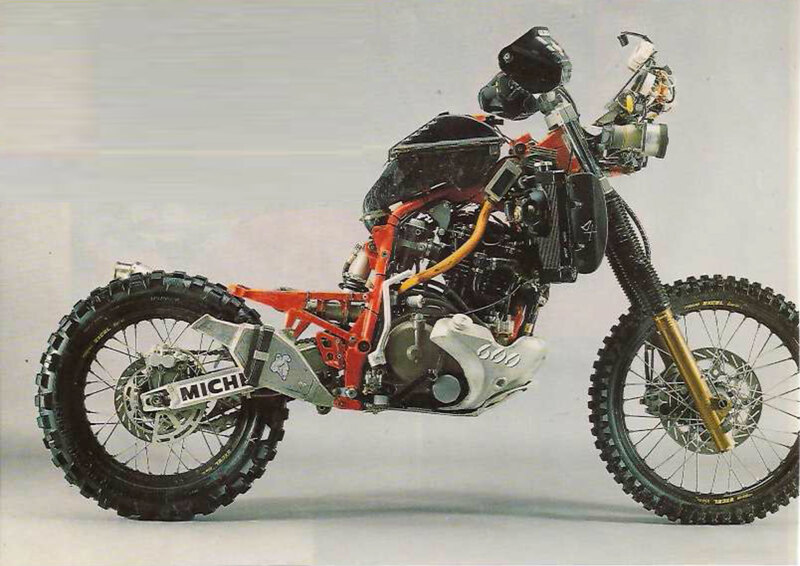 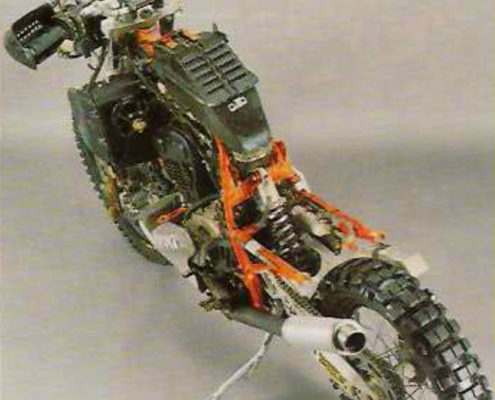 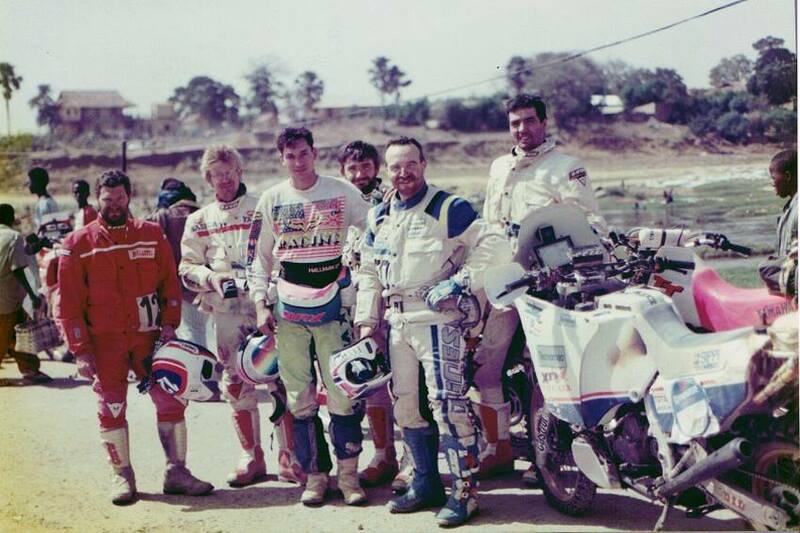 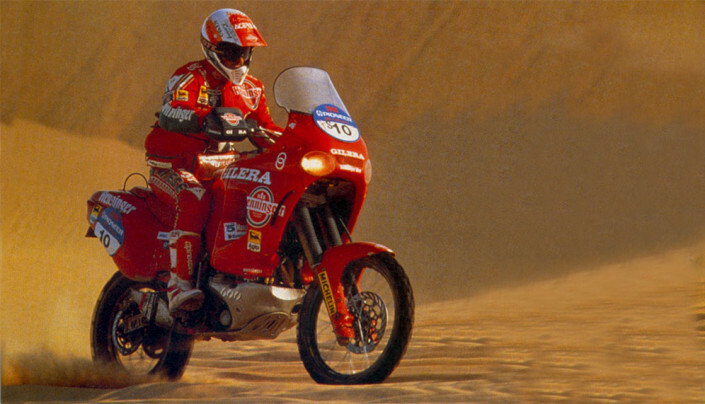 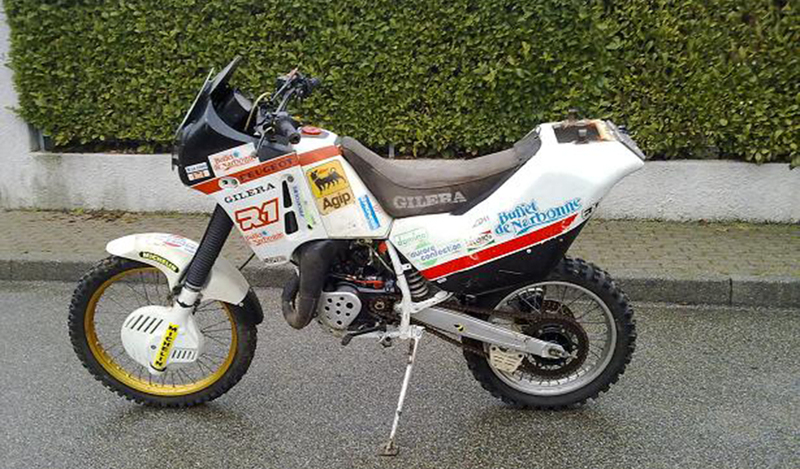 The 1993 It's an unusual year, with the minimum number of members in the Paris Dakar (only 46 motorcycle starters). 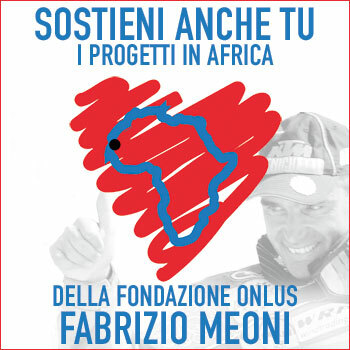 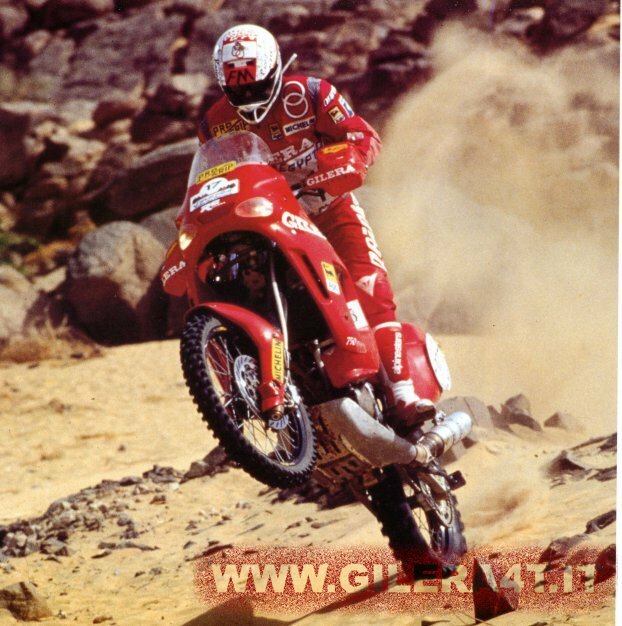 A beautiful Flash will give it to you anyway a pilot Italian, Maximum Maddox, 30 years, dealer with a passion for mechanics and adventure, that will give the Gilera to victory in 9th stage to Atar (Mauritania). 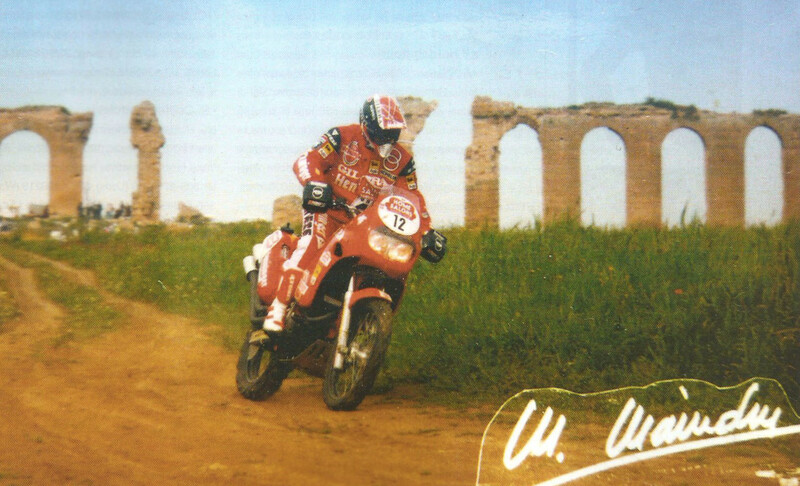 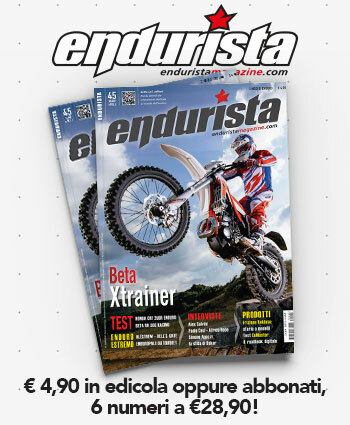 Ranked second in that stage, detached only 19 seconds, another Italian: Maximum Montebelli on Yamaha. 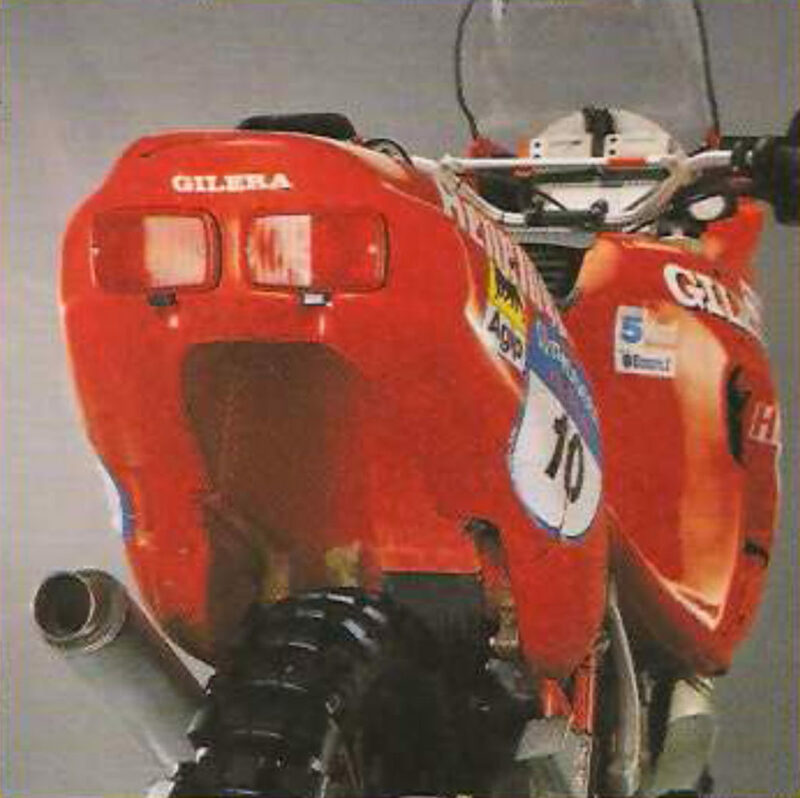 In the eighth through tenth General Montebelli realizes what Maddox.